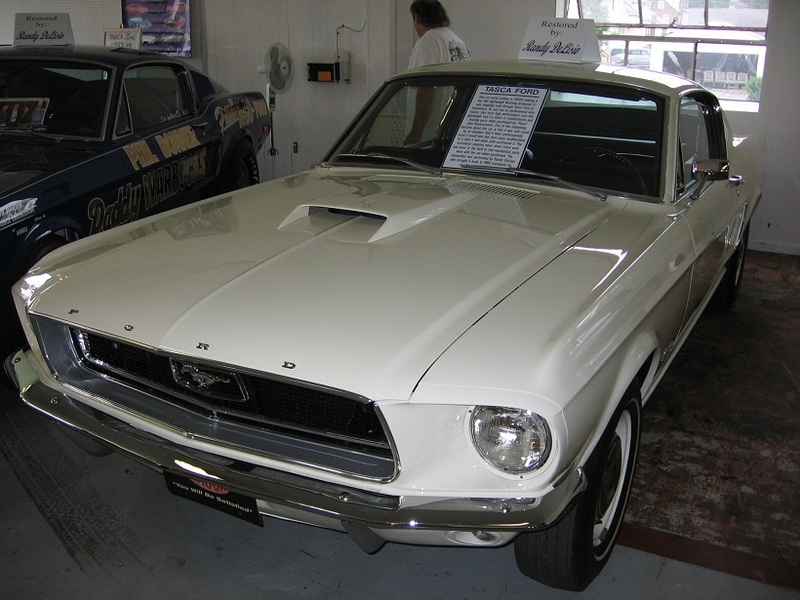 Who can tell us the changes (at least 2) that were made to the body of the 1968 Ford Cobra Jet Mustang below (VIN: 8F02R135033) when it was repainted after June 1969? 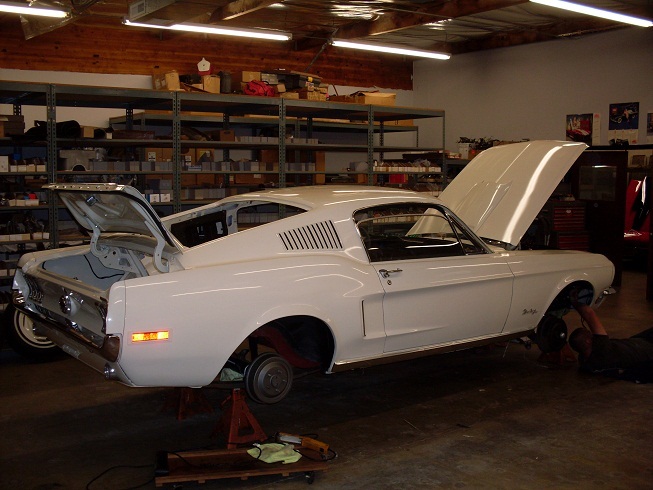 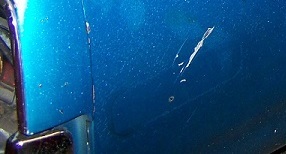 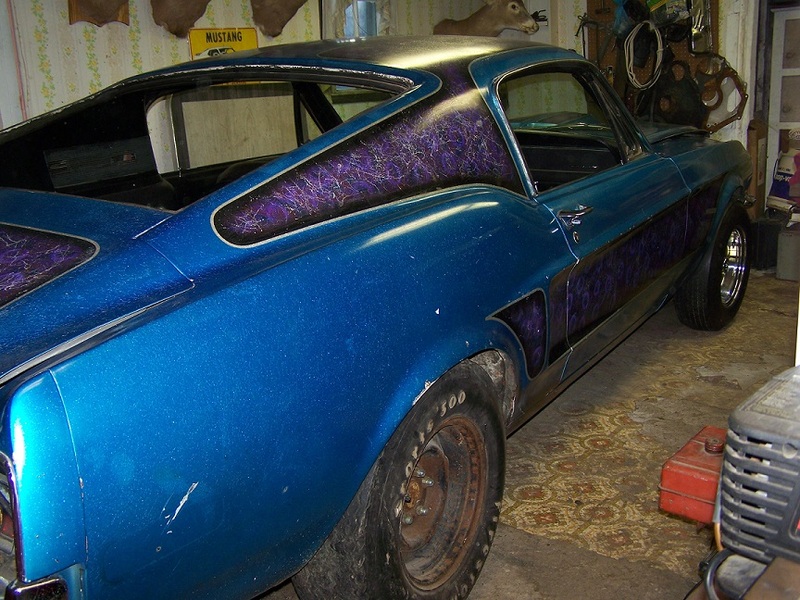 You may see the photo of the Mustang after it was repainted by clicking on the 'CHANGE' button. 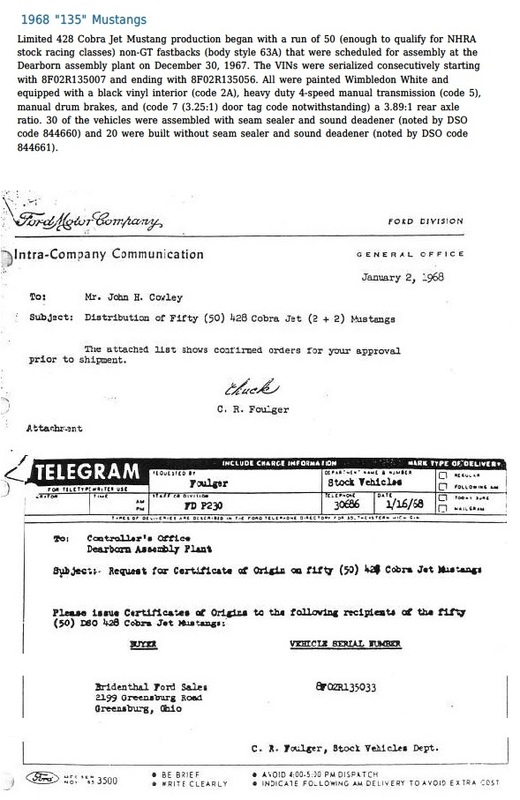 The full 3 pages of that document are provided at Ford Motor Company Intra-Company Communication of January 2, 1968. 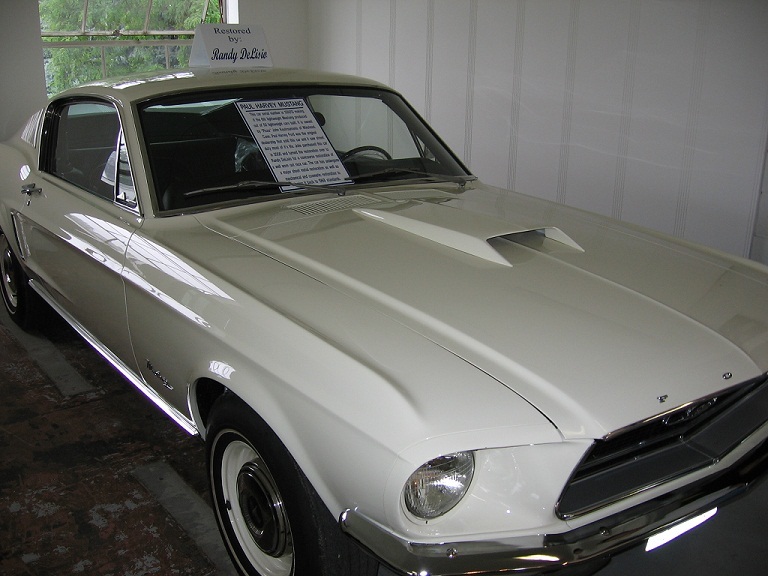 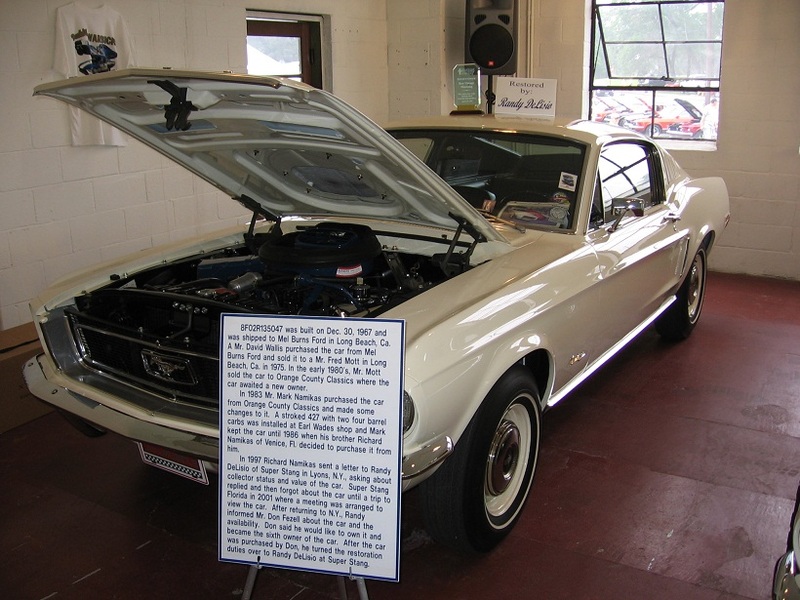 Information about each of the first fifty 1968 Ford Cobra Jet Mustangs is provided at 1968 "135" Mustangs. 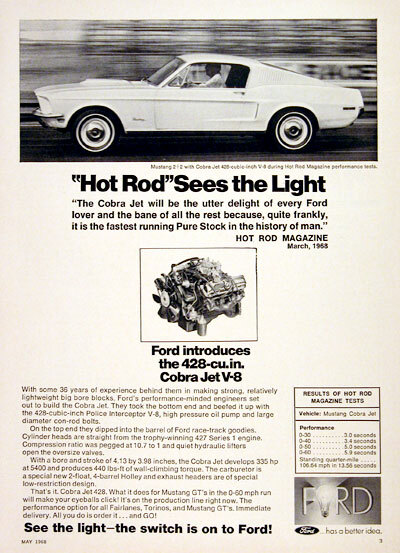 The 1968 Federal regulations required that vehicles have front and rear side marker lights. 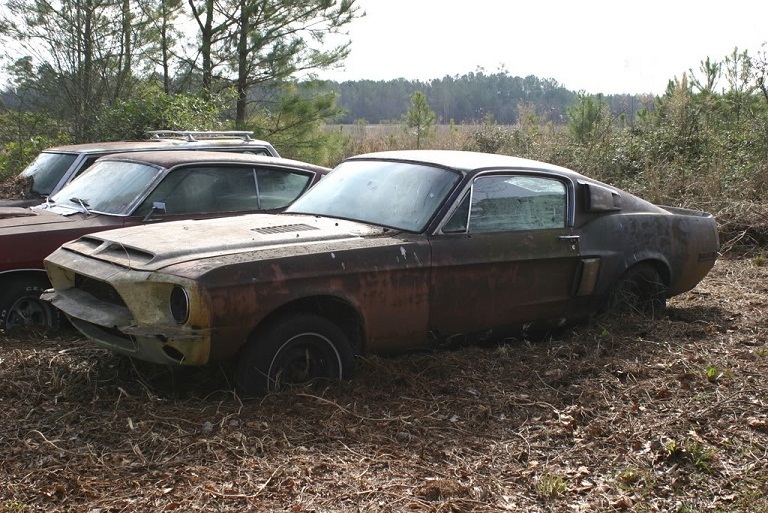 This is one way you can tell the difference between 1967 and 1968 Mustangs and Camaros and many other model year vehicles. 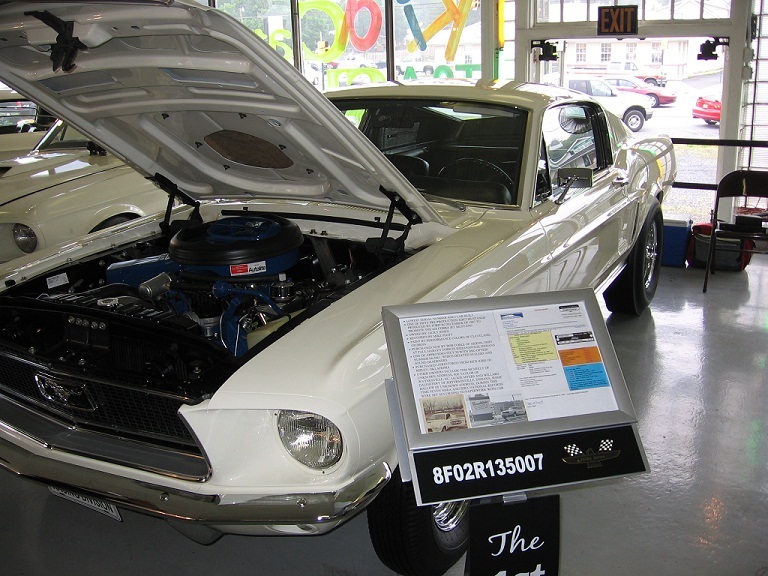 The rear roof louvers and rear side marker lights were removed from that 1968 Ford Cobra Jet Mustang (VIN: 8F02R135033), which was first purchased by Bridenthal Ford in Greensburg, Ohio. 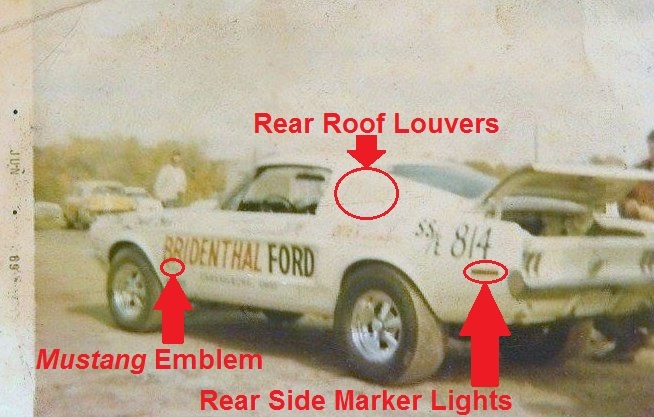 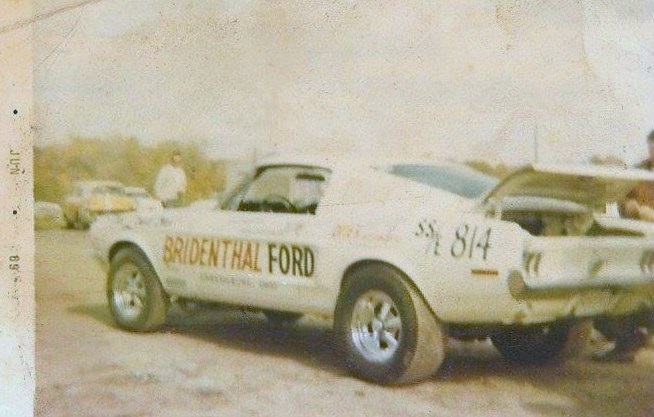 It also appears that the side Mustang emblems were on the vehicle when raced by Bridental Ford but were then removed.